Eating more whole grains may reduce the risk of premature death, according to a new meta-analysis by researchers from Harvard T.H. Chan School of Public Health. The study found that people who ate the most whole grains (70 grams/day, about 4 servings), compared with those who ate little or no whole grains, had a lower risk of dying during the study period. The study was published online June 13, 2016 in Circulation. A release from Harvard quotes Qi Sun, assistant professor in the Department of Nutrition and senior author of the study, as saying, “These findings further support current dietary guidelines that recommend at least 3 daily servings (or 48 grams) of whole grains to improve long-term health and prevent premature death. 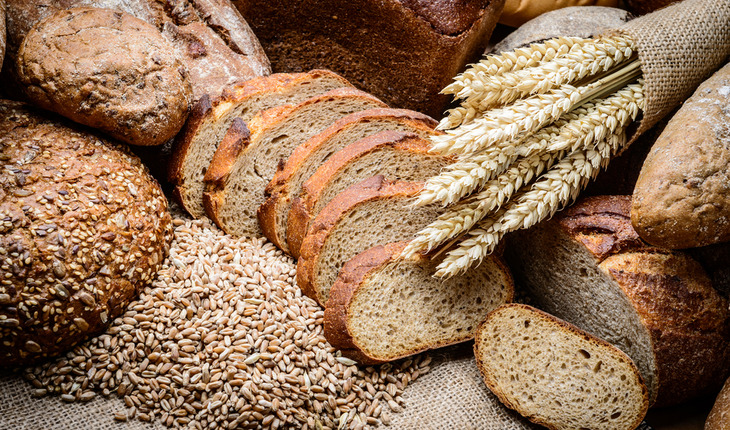 The release explains that previous studies have found that whole grains may reduce risk of cardiovascular disease (CVD), diabetes, and poor gut health, among other conditions. The meta-analysis combined results from 12 published studies, in addition to unpublished results from the National Health and Nutrition Examination Survey (NHANES) III and NHANES 1999-2004. The studies were conducted in the United States, the United Kingdom, or in Scandinavian countries between 1970 and 2010. Health information from 786,076 participants was included in the analysis. The results showed that people who ate 70 grams/day of whole grains, compared with those who ate little or no whole grains, had a 22% lower risk of total mortality, a 23% lower risk of CVD mortality, and a 20% lower risk of cancer mortality. Mortality rate is a measure of the number of deaths in a particular population for a specific period of time. The researchers note that multiple bioactive compounds in whole grains could contribute to their health benefits, and that high fiber content may lower cholesterol production and glucose response and increase satiety. The researchers recommend that people choose foods that are high in whole grain ingredients–such as bran, oatmeal, and quinoa–that have at least 16 grams per serving, while reducing consumption of unhealthy refined carbohydrates. One limitation of the meta-analysis was that some of the studies used were carried out before a more consistent definition of whole grains became available; therefore, lists of whole grain foods varied substantially among individual studies. In addition, as most of the studies were from the U.S. and Scandinavian countries, it is not known whether these findings can be generalized to other populations. Other Harvard Chan authors included lead author Geng Zong, Alisa Gao, and Frank Hu.